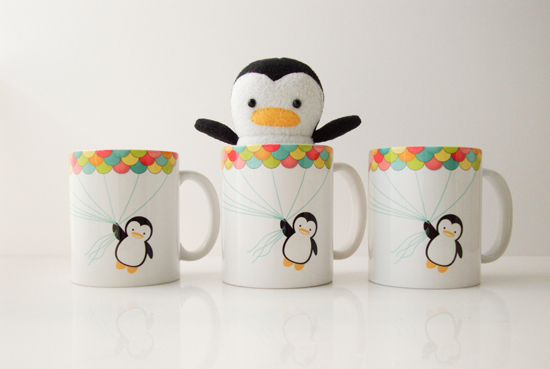 Inspired by the joys of motherhood and the love from my little Pham-ily, I created the Smile & Celebrate collection. 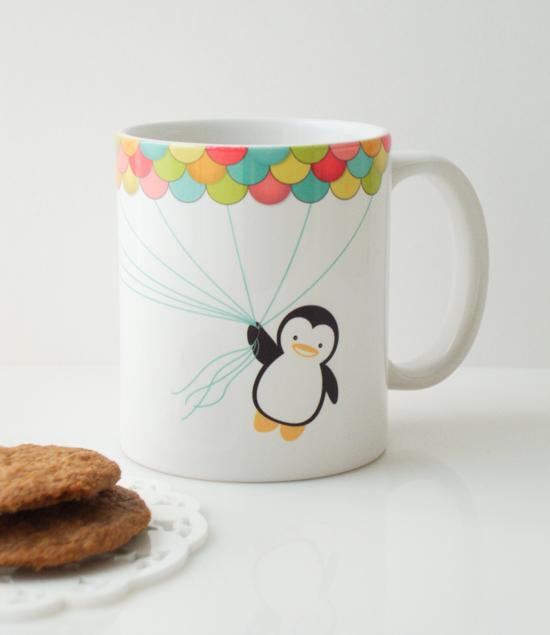 The designs featuring Niko Darling the Penguin, remind friends that everyday is a celebration of life and everyday deserves a smile on your beautiful faces. 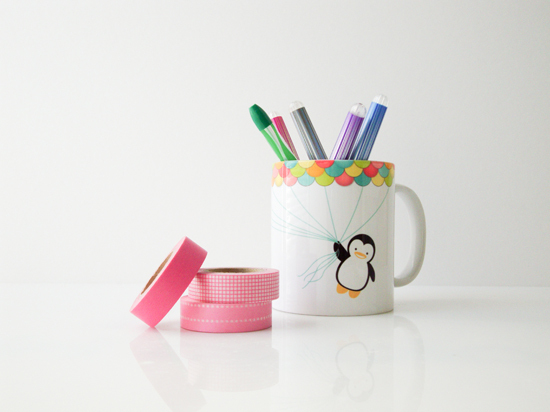 The Smile & Celebrate Mug Cup can be used as a pen holder, a vase for flowers, and a piggy bank. 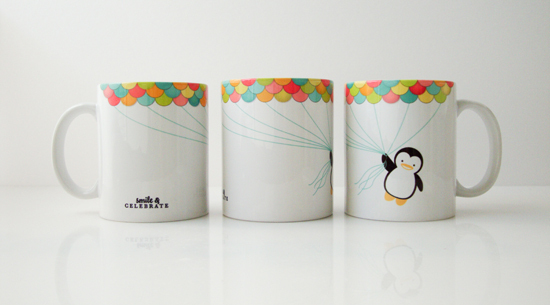 Or if you're a coffee or tea drinker like me, you can simply drink out of the Mug Cups every morning to start your day off with a smile. 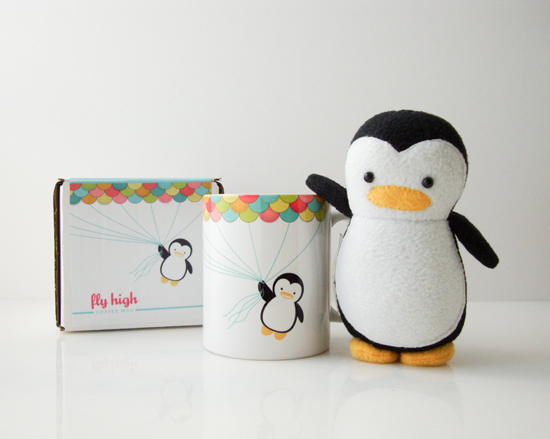 I hope the Smile & Celebrate collection brightens your day as it has for me throughout its creation. 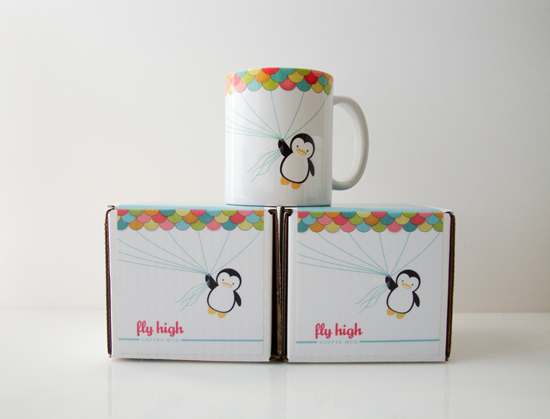 The first to be released in the Smile & Celebrate collection is the Fly High Mug Cup! 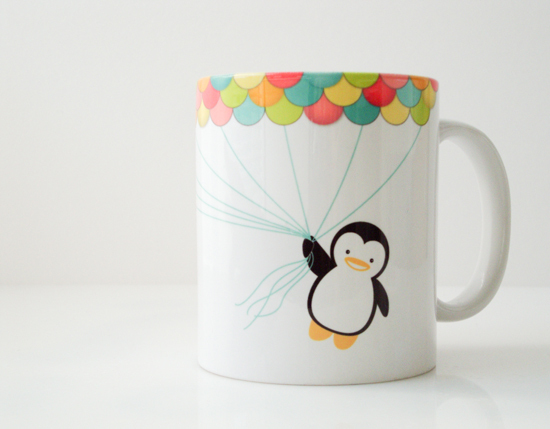 Grab onto a handful of balloons and FLY HIGH with Niko Darling! 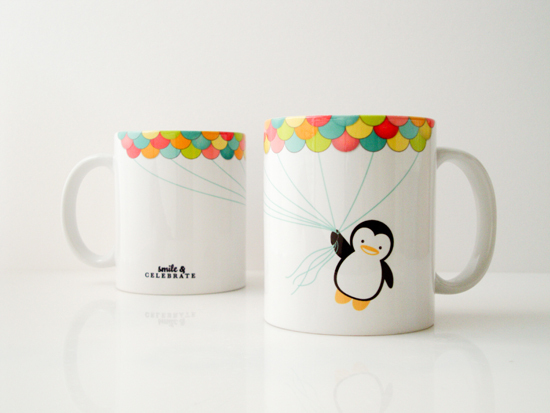 Nothing will weigh you down when you use this darling mug cup. 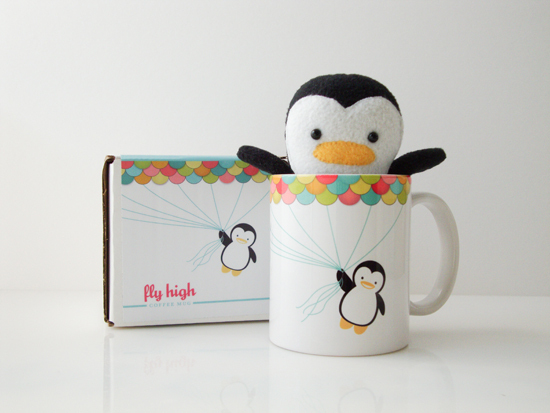 Now for another exciting announcement! 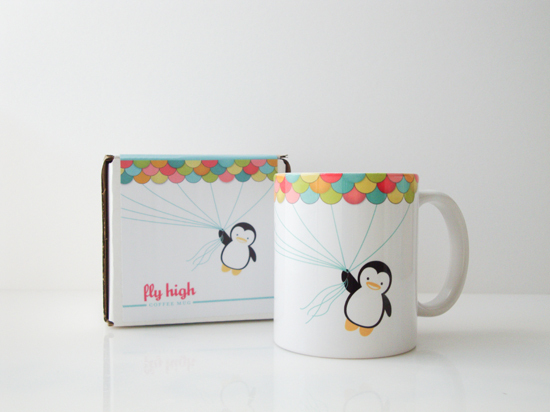 The Fly High Mug Cup will be available tomorrow at noon PST over at My Dear Darling Shop.